Newark, New Jersey. 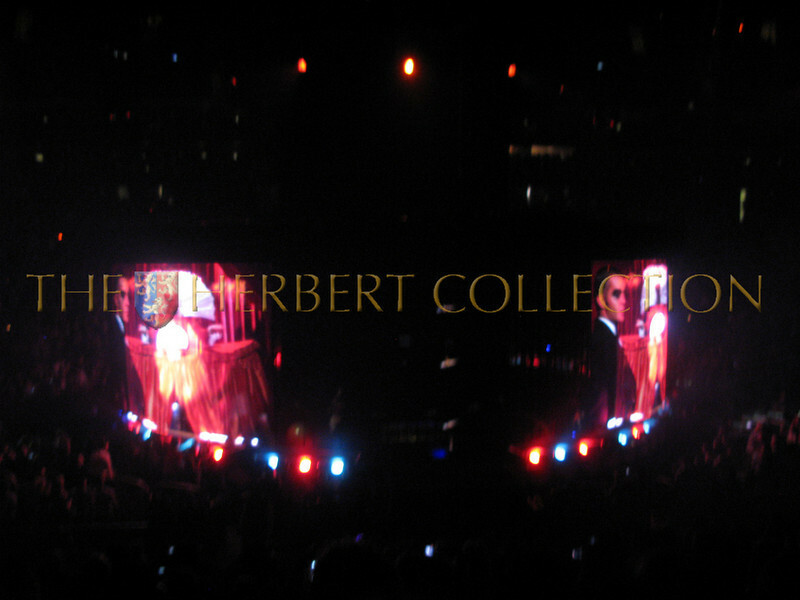 Prudential Center was the home of Britney's Kick Off concert the Circus Tour. The audience, consisting of mostly girls and women were thrilled to see Brit back on stage for her first concert tour in five years. "She looks good," was the general murmur throughout the audience. Britney definitely looked fab and had it all going on. Great moves, great lyrics, great dancers, great costumes and wow, what a performance! Who would have thought she would have Perez Hilton dressed as a ringmaster on large circular video screens above the stage introducing her as she descended from the ceiling with her opening hit song 'Circus'? The show, launched by Virgin Mobile, aptly named 'Circus Tour' was complete with circus performers throughout the acts with Britney as the Ringmaster of Ceremonies. Brit proved to everyone that not only does she know how to make an entrance, she knows how to make a come back. Over the next three months Britney will perform at venues across the US and Canada, finishing her tour in Manchester in June. The tour kicked off in New Orleans near where Brit's home state of Louisiana. We are all routing for Brit's success after watching her life unravel and unfold in the tabloids. Getting "back on the saddle" and riding again with her devoted fans cheering her on was a great triumph to see. I hope critics are accepting of the fact that she is trying. It is probably not an easy task to come back from where she once was. I heard that her children Sean Preston and Jayden James were permitted to go on tour with her but all agreed that her show is too 'adult' for them to watch. I just want to know how she and all of the dancers managed to gyrate and dance in those high heels. The Pussycat Dolls opened with a 40 minute show Britney changed costumes for each song, each one was sexier than the last. She kept the fans happy and craving for more. She was smiling and enjoying herself on stage. I don't really care if she lip synched or not. It was 92 minutes of nonstop dancing and entertainment. The concert took place in a three-ring-circus set design. After "Circus" Brit sang "Piece of Me." In the "House of Fun" (Anything Goes) segment of the show, Britney performed "Boys," new single "If U Seek Amy" and more. Next, Britney took her fans to the "Freakshow/Peepshow," followed by the "Electro Circ." For those sections, Britney had hits lined up, including "Slave," "Toxic," and a "Hit Me Baby One More Time" remix. She added a touch of Bollywood in "Me Against the Music." Brit included a mix of tracts spanning her career. She closed dressed in a scanty police woman costume, complete with night stick, hand cuffs and black leather boots singing "Womanizer." A lot of people came out to cheer Britney on, we even spotted Fergie back stage and had to look twice at her new brunette locks.